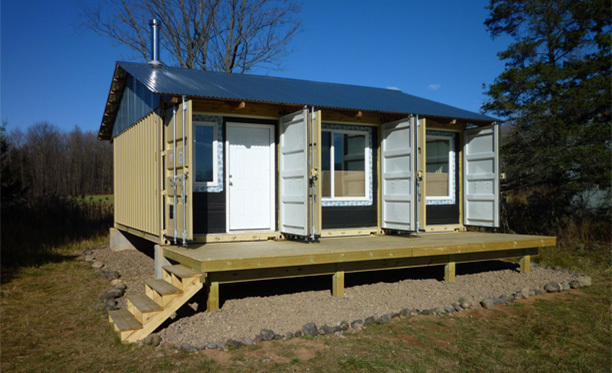 Looking for the cheapest way to build a container home? 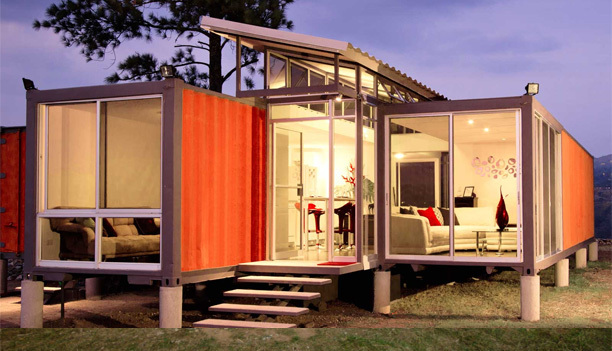 Shipping Containers New Zealand has put together the 5 known cheapest container homes built to date! 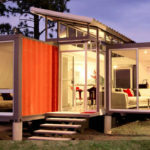 We’ll take a look at how they were built and how you can use this information to create your own cheap container house! Joseph, a 29 year old engineer from Canada, was looking for a way to build his own home in 2012. He purchased three shipping containers which had previously been used to ship cargo from Asia for approximately $2,600 USD each. The home is 355 square feet, and it took him three months to build – at times working up to 14 hours per day. 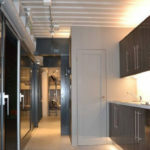 Joseph has removed the interior walls of the containers to create one large open plan room. The home containers a kitchen, dining area and a shower stall. There is also an outhouse which doubles as a complete bathroom. 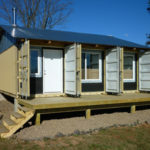 This home is completely off-grid, (it isn’t connected to local utilities such as electricity), as solar panels on the containers’ roof provide electricity and there is a wood-powered stove to keep the home warm. 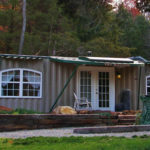 Built by Larry Wade back in 2010, the original plan was to build a shipping container home/cabin that would be suitable to use as a weekend or holiday home – yet self-sufficient, so ‘off-grid’. 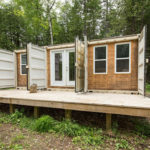 Two 40 foot shipping containers were bought and delivered onto concrete piers, which were used instead of a full concrete slab due to them being both cheaper and quicker to build. Once the containers were levelled they were welded together by placing 2″ x 1/8 flat steel bars along the gap between the container roofs. These steel bars were then welded using a stitch pattern. 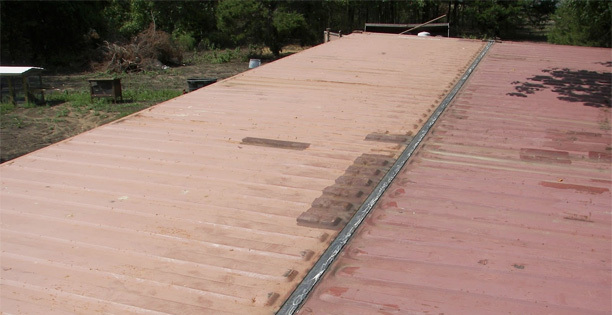 The roof, the floors and also the doors of the containers to prevent any wind blowing through them. 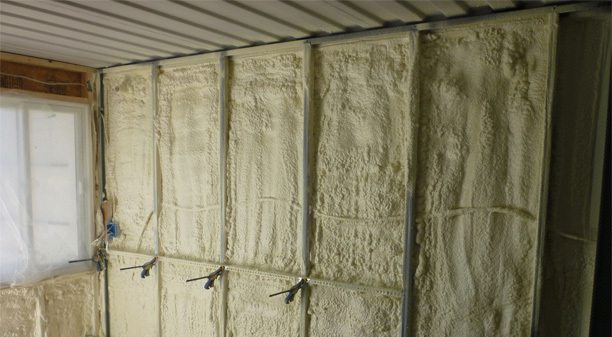 Foam insulation was then sprayed on the outside of the containers and also in the air pocket between the two containers. 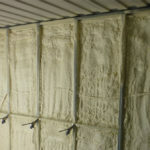 Internally rock wool insulation was rolled out in-between battens to provide an additional layer of protection. Inside there is an arch which connects the two containers and creates a living room. In addition to the living room there are two bedrooms, a bathroom and a kitchen/diner. The roof has been fitted with solar panels which provide the home with its electricity. The solar panels are also used to heat the water – and unlike Joseph, the total cost included the land purchase too! 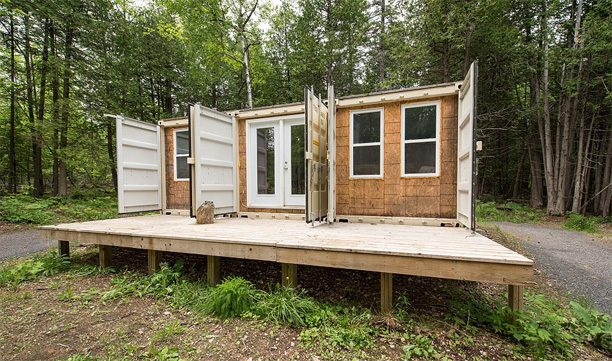 The Tin Can Cabin was built in 2009 in Northern Wisconsin. The primary concern was security and because of the shipping containers’ large steel doors that could be locked, it was able to be secure and free from vandals whilst he is away. 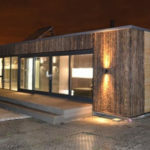 This home was built from brand new shipping containers – because they are in better condition which makes them easier to work with. Also he mentioned that the risk of chemical contamination in new containers is reduced. 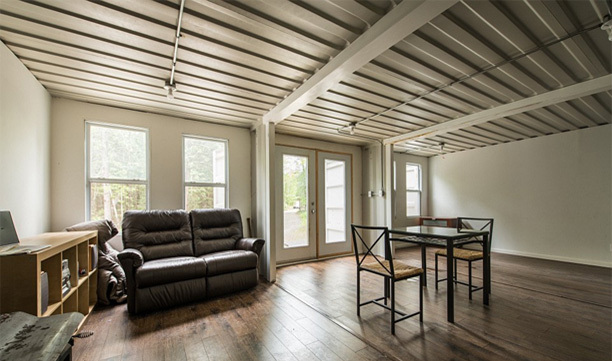 The containers were insulated internally with spray foam insulation which was sprayed 3inches thick, and all the internal walls were removed to allow for a single open plan home. Inside the house is a kitchen, lounge, dining area and a bathroom. The lounge area features a sofa which doubles as a bed to save on space. For heating Steve installed a wood burning stove which is capable of heating up to 800 square foot. His container home is 480 square foot so the stove is more than powerful enough. And the price includes all the fixtures, furnishings and fittings. The ‘Containers of Hope’ home was designed by Benjamin Garcia Saxe architects for the Peralta family in Costa Rica, who wanted to live in the countryside, but they were worried about rising property costs and getting themselves in debt. 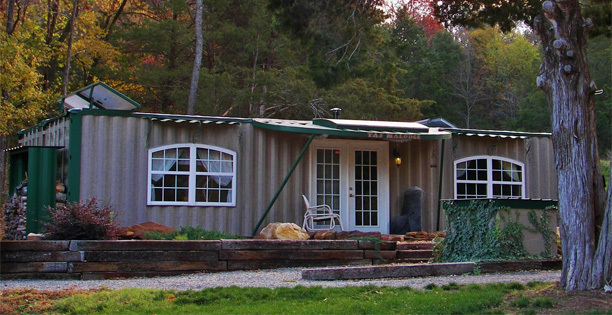 They decided to build their home out of shipping containers so they could lead a debt free lifestyle. So two used 40 foot shipping containers and spaced 3 feet apart on top of concrete pier foundations. 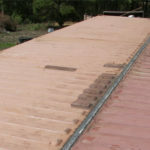 The gap is covered with a roof which was made from scrap metal taken from the containers. 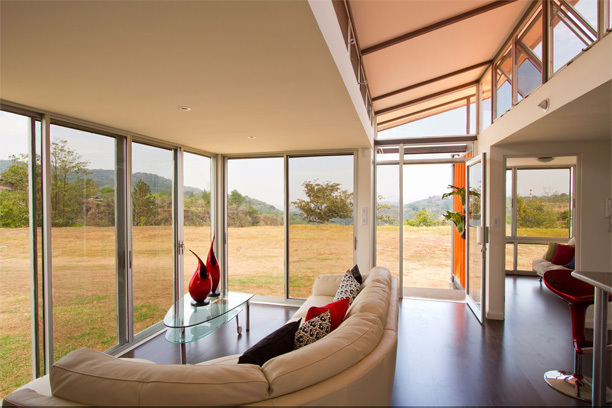 The home has several large glass windows which provide stunning views. Insulation and heating isn’t as much of a concern as their weather rarely goes below 17 degrees. In addition the roof provides cross ventilation for the hotter days – for this 1,000 square foot home. 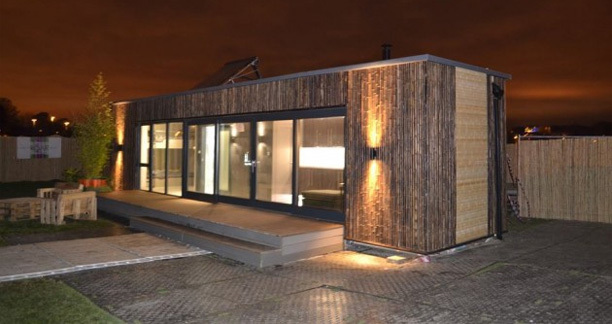 In 2014, this was the first shipping container home, built in 2014. 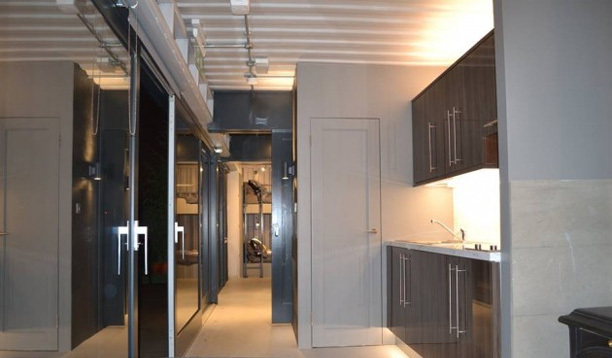 At 360 square feet, the home was coordinated by Carol Tallon from Ceardean Architects, who believes that container homes “are new housing solutions available to accommodate different lifestyle choices”. This home can sleep up to six people at once, however it’s primarily designed to sleep a family of four people comfortably. It is primarily made up of the living area and kitchen. In addition to these rooms the home also has a bedroom and a bathroom, and an outside deck which could be used in the summer. 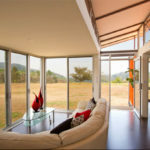 The home is fitted with solar panels and micro heat recovery units which generates hot water and electricity for the home, which has added to the cost. WHAT CAN WE TAKE FROM THESE HOMES? 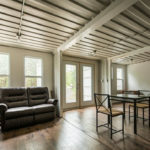 Everything will add to the cost of the home – using a Used Container will be cheaper than buying a Brand New Container, however it will be harder to build with. Using an architect will make it easier for building – but will cost more; and doing a majority of the work yourself will make it the cheapest possible home. Also – remember to consider going off grid!